Young dancers often want to know when they can start pointe work. And an answer of around 12 years of age is usually given. But really it is not the age of the dancer that we need to pay attention to but the kind of dance student that is asking. A resource paper written by David S Weiss MD under the auspices of the Education and Media Committee of the International Association for Dance Medicine & Science (IADMS) explains why we need to do so much more than just consider the age of the student. This excellent paper offers very useful guidelines to anyone wondering about putting a young dancer on pointe. It addresses anatomical and developmental issues that teachers need to consider when preparing students for pointe work. I have attached the paper for you to download. When can I start pointe work? IADMS resource paper. 1 Never before the age of 12. 2 If not anatomically sound (e.g. insufficient ankle and foot plantar flexion range of motion, poor lower extremity alignment), do not allow pointe. 3 If not truly pre-professional, discourage pointe. 4 If weak in the abdomen, trunk or legs delay pointe and consider implementing a strengthening programme. 5 If hypermobile in the feet and ankles, delay pointe and consider implementing a strengthening programme. 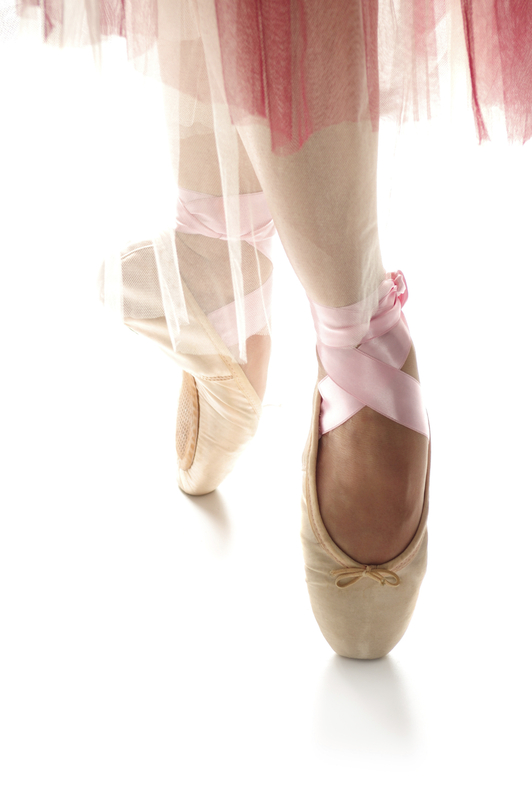 6 If ballet classes are once a week, discourage pointe. 7 If ballet classes are twice a week, and none of the above apply, begin the fourth year of training. This entry was posted in CPD, Ethics and dance, Injury prevention, Safe Dance Practice for Dance Teachers, Teaching methods and approaches, Uncategorized and tagged Ballet, Dance, En pointe, Ethical dance teaching practice, International Association for Dance Medicine & Science, Starting pointe work by Sho. Bookmark the permalink.